“We’ve designed this official limited edition charity tee and sweatshirt just for you. Together, let’s empower young refugee women! © 2018 Fox and its related entities. All rights reserved. © 2018 MARVEL. 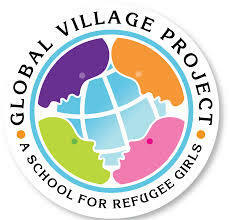 At Global Village Project, we’ve built a unique and innovative school for refugee young women - a group of students whose education is being interrupted on a global scale.There are more than 130 million young women around the world who are missing secondary school. Meanwhile, refugee children are roughly five times more likely to drop out of school than the global average. Our students' families don’t want to be representative of these alarming statistics, and have come to the U.S. eager for education for their daughters. When they arrive at GVP, our students have missed 3 years of school on average. They have an enormous amount of ground to cover to achieve high school graduation, much less college and careers. That’s where GVP’s unique educational model comes in.